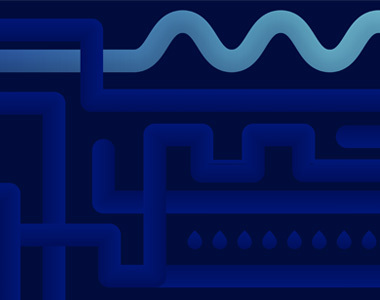 As many as 800 communities across the U.S. — including Philadelphia, New York, Chicago and San Francisco — have a messy problem: combined sewer systems, which can cause stormwater, pollution, and sewage to seep into public waterways. Fortunately, we live in the age of IoT, and no matter what the problem, it seems the Internet of Things can lead to smart solutions. The Philly IoT Meetup, hosted here at Bresslergroup on the second Wednesday of every month, is focused on smart cities in 2017. The group has explored ideas like how to hang an IoT network on connected LED streetlights and the potential of big data partnerships. Between 2010 and 2016, Philly’s green stormwater infrastructure grew from zero to 30,000 square feet. That amount of green isn’t cheap to maintain. Between 2010 and 2016, Philly’s green stormwater infrastructure grew from zero to 30,000 square feet. (Did you know Philly is a pioneer in green infrastructure?) Now, PWD and Drexel are leveraging technology to better monitor and maintain that infrastructure. In dry weather, combined sewer systems work well. They transport household greywater and stormwater runoff in enclosed, underground pipes to wastewater treatment plants. But during storms, those pipes can be overwhelmed, causing stormwater, which has mixed with pollution and sewage, to overflow from the pipes into nearby waterways. That’s known as combined sewer overflow, or CSO. Today, almost two-thirds of the sewer service area in Philadelphia is a combined sewer system. There are 164 combined sewer outfalls, or areas where CSO can enter streams and rivers, and according to Fritch, about 14 billion gallons of combined sewage is released into Philly’s waterways each year. 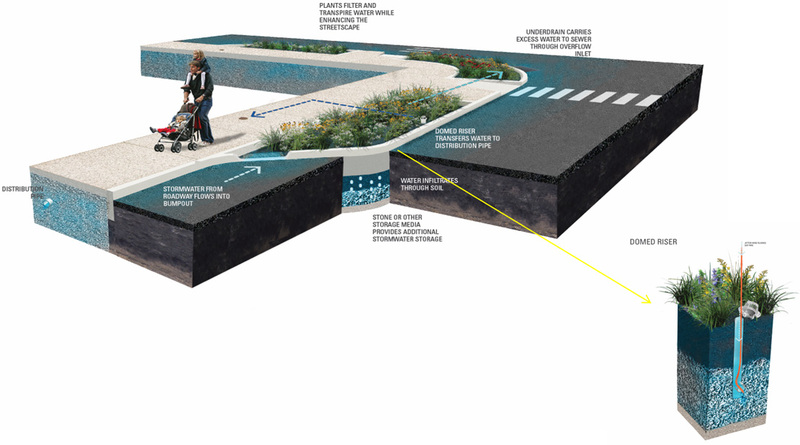 One solution is green stormwater infrastructure, which is meant to capture stormwater and infiltrate it into the ground so that the combined sewer system below does not overflow. 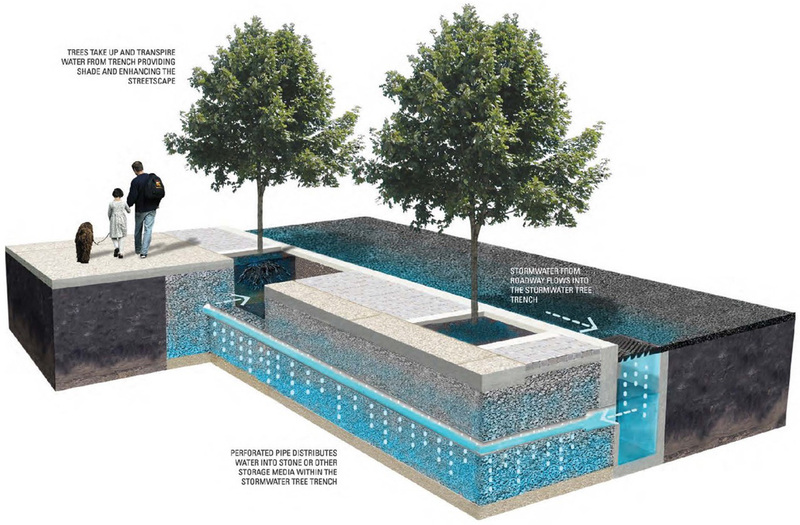 Green stormwater infrastructure is not foolproof, though. It requires careful monitoring and maintenance. 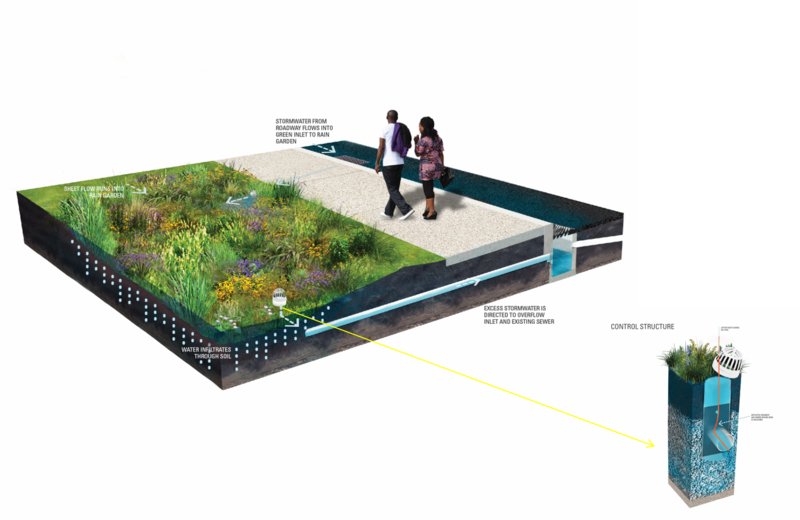 In Philly, for two years after green stormwater infrastructure is installed, it must be watered once every four days that pass without rain. That’s to ensure the vegetation planted survives, but it’s a costly endeavor. PWD spends an estimated $1,000 each time it waters a site, and in 2016, PWD’s watering costs totaled $70,000. That led PWD and Drexel’s Sustainable Water Resource Engineering Laboratory to ask, ‘How can we use technology to better monitor and maintain our green infrastructure?’ As Fritch explained at the Philly IoT Meetup, PWD wants to ensure young plants thrive but also to cut down on costly over-watering. For that, the partners turned to connected soil moisture sensors. To monitor soil moisture at each site, PWD selected the Vegetronix VH400 capacitance probe, which sends a signal through soil. When the soil is wet, that signal travels easier than it does when the soil is dry, thus Vegetronix can estimate soil moisture levels. It offers benefits like rapid response time, low power consumption, and insensitivity to salinity, so it won’t be impacted by road salt runoff. And at just $40, the Vegetronix sensor is a middle-of-the-road price option. The first real challenge came with communication. Arduino kits with 915 megahertz radio signals proved too weak to travel through city buildings. Next PWD tried using a combination of WiFi and radio, with Arduino modules in rain gardens and Raspberry Pi boards connected to local schools’ WiFi networks, but that created two problematic points of failure. Because most stormwater infrastructure lacks power outlets, the soil moisture sensors required hardware efficiencies that would save as much power as possible. Typical microcontrollers draw about 25 milliamps, or about 2 to 3 days of battery life for four AA batteries. So, PWD selected the Particle Electron 3G microcontroller, a 3G-connected microcontroller with 3.3 volt output. For $70, the Particle Electron 3G kit came with a board, LiPo battery, antenna and SIM Card. Its built-in 3G data plan offered up to 2 MB for $2.99/month, and it runs on Arduino-compatible code. Today, the soil sensor units use 3.7 volt batteries, which run for roughly a month-and-a-half. Solar is, of course, an appealing solution, but solar panels cannot be installed in all urban spaces. Through greenSTEM Network, PWD did experiment with solar birdhouses, designed and built with local students. Those birdhouses, which each cost about $80 to construct, almost never needed maintenance or battery replacements — more info on that project, including a DIY Guide, can be found on the greenSTEM Network’s website. PWD selected a simple waterproof case to house the Vegetronix sensor and Particle Electron 3G. Each sensor unit (see one pictured, below) is designed so that it can be installed easily: placed in a small dirt hole and covered with up to six inches of soil. An attached carabiner and piece of rebar stick through the soil to make it easy for maintenance crews to find the units. In the summer of 2016, PWD consulted with maintenance groups to identify the most logical test sites. Then, they installed nine sensor units at six sites. With the proof of concept phase successfully underway, PWD reports that its DIY solution costs roughly $99 per unit, compared to other, more costly hardware and data plans, which combined can range from $539 to $1,563. Of course all of this is about collecting data. The sensor units report soil moisture levels and site temperature every two hours. It’s sent to ubidots, a user-friendly cloud-based data storage portal. 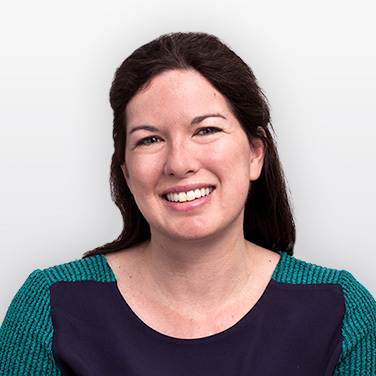 From there, data can be embedded into websites, downloaded as CSV files, or used to generate text and email alerts when soil moisture levels fall below a certain threshold. For the proof of concept phase, a web page was developed for each test site. Each included online reporting forms so crews could update, for instance, when they changed a battery. Each page also included a weather forecast widget. In some ways, Fritch says, developing the necessary code was one of the easier parts of the project. PWD’s next challenge will be putting that data to use, using it to determine when and where to water. 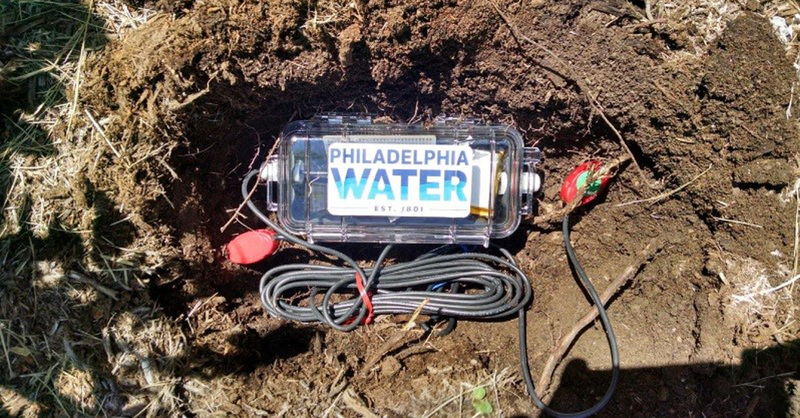 Data collection falls in line with the larger goals of Drexel’s Sustainable Water Resource Engineering Laboratory, which is working with PWD to gather similar data from various types of sensors and green infrastructure sites in Philly and beyond. The group will pool that data in public databases, which scientists anywhere can draw from. And as PWD progresses with its Green City, Clean Waters plan, this data will help it build, remotely monitor, and maintain hundreds of green stormwater infrastructure sites throughout Philadelphia. We look forward to seeing what comes next. Read more about smart cities.